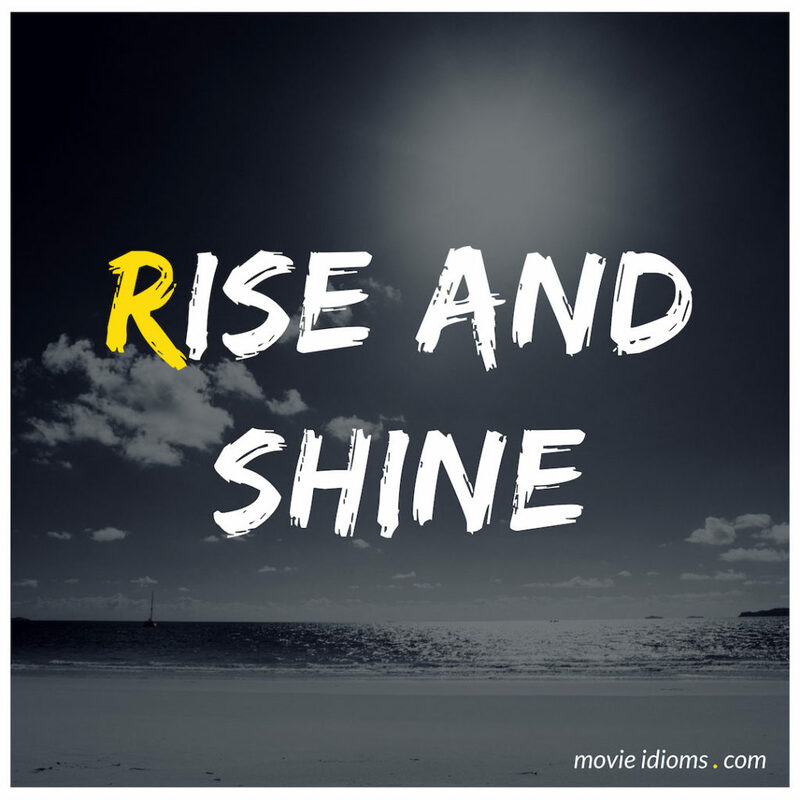 What does rise and shine mean? Buffy: C’mon, Stephan, rise and shine. Some of us have a ton of trig homework waiting. Angel: Hey. Is this a bad time? Buffy: Are you crazy? You don’t just sneak up on people in a graveyard. You make noise when you walk. You stomp or yodel. D.J. #1: Okay, campers, rise and shine, and don’t forget your booties ’cause it’s cold out there today. D.J. #2: It’s cold out there every day. What is this, Miami Beach? D.J. #1: Not hardly. And you know, you can expect hazardous travel later today with that, you know, that blizzard thing. D.J. #2: That blizzard… thing. That blizzard… thing. Oh, well, here’s the report! The National Weather Service is calling for a big blizzard thing! D.J. #1: Yes, they are. But you know, there’s another reason why today is especially exciting. John: Rise and shine, Adam. You’re probably wondering where you are. I’ll tell you where you might be. You might be in the room that you die in. Up until now, you’ve simply sat in the shadows watching others live out their lives. But what do voyeurs see when they look into the mirror? Now I see you as a strange mix of someone angry, yet apathetic. But mostly just pathetic. So are you going to watch yourself die here today, Adam, or do something about it?